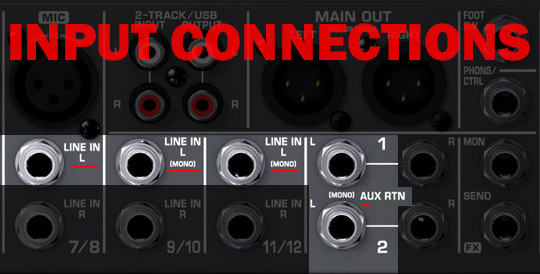 BEFORE CONNECTING THE CABLE ANYWHERE, IT IS RECOMMENDED THAT ALL VOLUME KNOBS ON THE MIXER, INCLUDING GAIN, FADER, AUX ARE TURNED DOWN ON THE CONNECTING CHANNEL. THIS ALSO APPLIES TO THE SMARTPHONE YOU MAY BE USING. THEY MAY BE TURNED UP AFTER CONNECTIONS. If you do not have either of these available, a headphone amplifier is recommended. *FX Send is not a recommended connection. 1- Make sure playback headphones are connected and adjusted to a comfortable setting. 2- Make sure your microphone is adjusted to a comfortable setting for yourself, and AUX knob is adjusted to 12 o-clock (if applicable). TIP: REPEAT THESE STEPS FOR ANY ADDITIONAL INPUTS SUCH AS A SOUNDBOARD DEVICE. 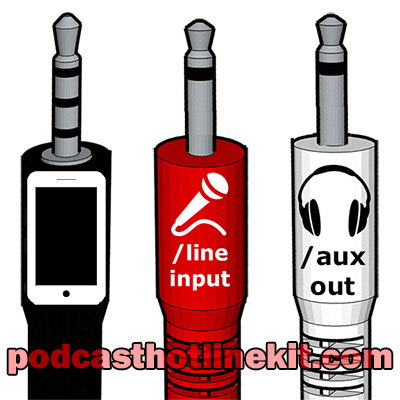 NOTE: The AUX SEND control knobs are the volume to the guest caller from any available channel. 1- On the phone, set the inbound call volume up to your phone’s recommended settings or as desired. 2- Slowly the gain knob up as your caller speaks in their normal speaking voice until you are satisfied with the volume level. TIP: Most mixers have EQ settings, take advantage of the EQ settings to help achieving a clearer call.